New Everton manager Sam Allardyce is reportedly eager to launch a £60 million bid to try to sign Borussia Dortmund forward Pierre-Emerick Aubameyang as a replacement for Romelu Lukaku. According to Darren Lewis in the Mirror, BVB are prepared to sell the prolific striker in the January transfer window, with Aubameyang said to be open to a move to the Premier League. Lewis added that while Everton cannot give Aubameyang European football or guarantee it in the future, they have the finances to offer a hefty transfer fee for the Gabon international, as well as an attractive deal to the player himself. 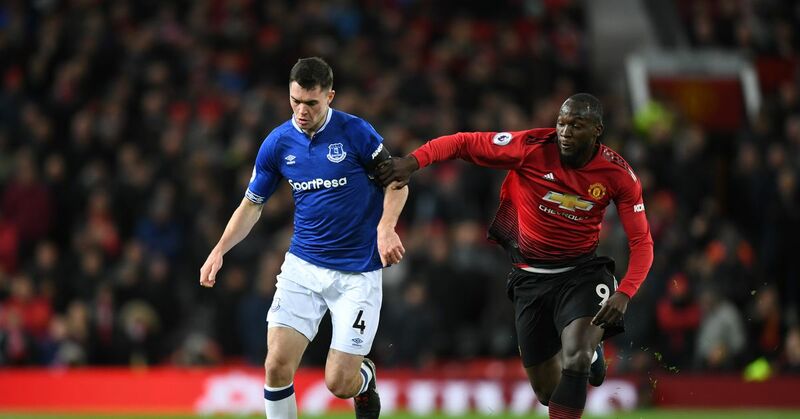 Lukaku was sold to Manchester United for £75 million in the summer, and his absence has been felt by the Toffees this season. Although they added fine attacking quality to their side in the wake of the Belgian's departure—spending nearly £70 million on Gylfi Sigurdsson and Davy Klaassen while re-signing Wayne Rooney for free—they never brought in a high-quality No. 9 to replace Lukaku. Aubameyang would be a phenomenal signing, as he has proved himself to be one of Europe's most dangerous goalscorers since joining Dortmund in 2013. The 28-year-old has netted 96 Bundesliga goals in 140 appearances for BVB—11 in 12 this season—since joining the club from Saint-Etienne. He has also proved himself capable at the highest level, returning 11 goals in 15 appearances in the UEFA Champions League in the past two seasons, and he placed joint-21st in the 2017 Ballon d'Or voting. Everton have endured a miserable 2017-18 campaign but have seen an upturn in form of late, winning three on the bounce in all competitions for the first time since August 2016. If they were able to add Aubameyang to their squad, the Merseyside outfit would have a shot at breaking into the Premier League's top six in the coming seasons. However, it will be tough to convince Aubameyang to move to Goodison Park, even if Everton have an offer accepted by BVB. The AC Milan youth graduate has proved he belongs at a club that plays Champions League football, and he expected to join Real Madrid in the summer, according to Goal's Ronan Murphy. Dortmund are struggling for form after a blistering start to the season, and Aubameyang arguably needs to move away from Signal Iduna Park to find success and silverware. But it seems unlikely he will view Everton as the solution.